Harness the power of people across the country to make even Greater Strides! Build a National Team by recruiting and registering three or more teams to walk in your state or across the country. 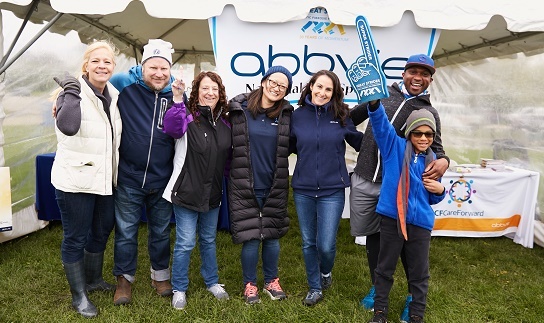 A National Team gives you the opportunity to engage with your community, raise awareness and dollars to support the mission of the Cystic Fibrosis Foundation all over the country. In 2018, National Teams raised over $6.5 million. 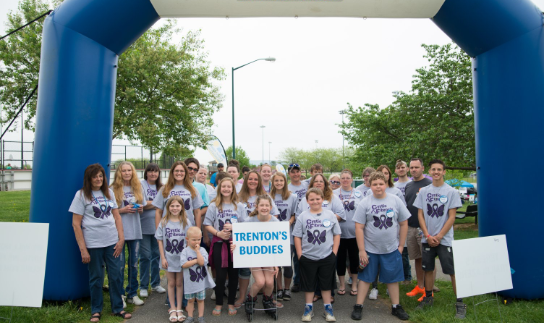 A National Family Team has 3 or more affiliate teams participating in Great Strides walks across the country or even at the same walk site. A team may be made up of family, friends, colleagues, classmates, neighbors and anyone else who wants to join the fight against cystic fibrosis. One team leader at each walk site recruits walkers who work together to help reach the team’s national fundraising goal. A National Corporate Team is defined as having a company-based walk team at three or more event locations. These teams harness the power of people across the country by collaborating and building employee morale, leadership and teamwork. They make a meaningful difference by raising awareness about cystic fibrosis and supporting our mission to find a cure for CF. If you have the opportunity to introduce a new National Corporate Team to join our roster, we want to hear from you! Join together with fellow members of your civic group across the country to support Great Strides. 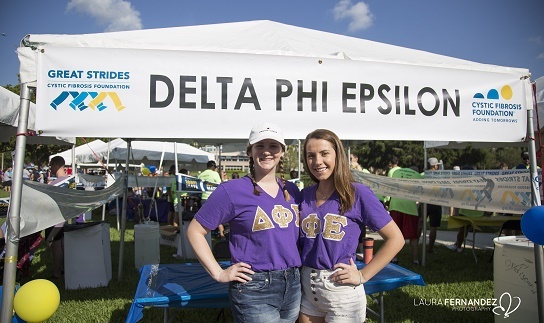 Fulfill your group’s mission of contributing to the community by supporting the Cystic Fibrosis Foundation’s largest event, Great Strides. If you are a member of a sorority or fraternity, Rotary Club, Freemason’s group, or other civic group, consider joining as a National Civic Group team and combine your efforts to make a big impact!